Money has always been seen as a necessary evil. We need it for basic survival in the world of economy, while also having “wants” to help make life more enjoyable. However, on the flip-side, money affects your mental health, as a large percentage of Americans today are stressed about money. Today, we will be going over the effects money can have on our health, covering the good, the bad, and the ugly. To begin, 30% of Americans are constantly stressed out about money. Those who have debt are known to experience higher levels of mental health problems than those well-off. Statistics from moneyandmentalhealth.org concluded that half of those who are experiencing debt also have a mental health problem. People with debt are also twice as likely to develop a serious form of depression. 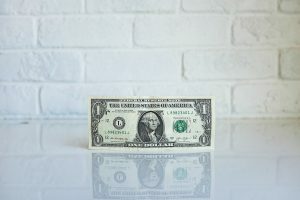 According to urban.org, poor adults are almost five times as likely to report being in fair or poor health compared to adults with family incomes at or above 400 percent of the federal poverty level. It might not be too much of a surprise, but the life expectancy after the age of 25 to death is significantly higher for those over the 400 percent poverty levels compared to those under 100%. The conditions of those with more money greatly differ from those struggling in debt. With the ability to afford the ever-increasing costs of education, family, health, etc., those having a higher income have less to stress about. Those with little income must work harder in the world in order to obtain higher education and better health. Where do people usually mess up with their money? For one, people buy a lot of “wants” that they really don’t need. Another reason people face financial problems is not using a budget when making plans throughout the month. A major reason most people fall into debt is not having a savings fund for the rainy days they did not suspect. You should always save around 20% of your paycheck in order to put it towards your savings. So if any of this describes you, how can you make your way out of a money crisis and avoid the health issues that come with it? Here is a link to a blog post with 25 helpful tips to turn your money situation around. We also have financial experts here at Empower who can help you get out of debt. For more information, don’t hesitate to call us at 888-539-1633.